Plantains are popular in Ghana as a snack or side dish. Though related to bananas, plantains are much starchier and far less sweet, and are therefore usually eaten cooked. 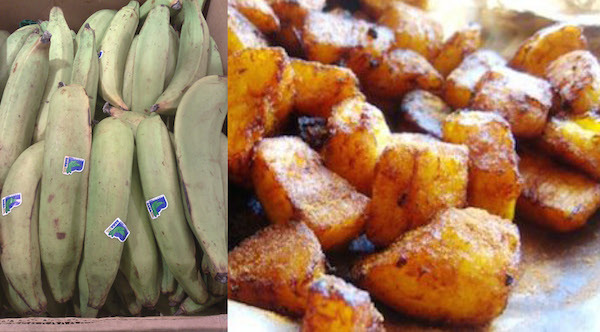 Plantains can be baked, boiled, fried, pounded or dried and milled into flour. Probably the most common preparation in Ghana is the seemingly ubiquitous fufu, a starch made from pounding plantain together with cassava or yam (not to be confused with sweet potato, which isn’t a true yam) that is served as an accompaniment to stews, soups and sauces. 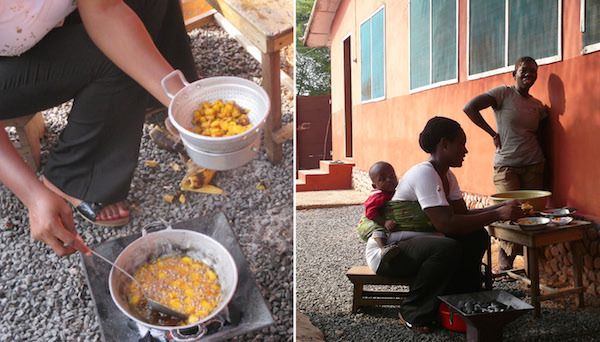 Since pounding fufu is quite labor intensive, let’s learn to make kelewele, a delectable spiced fried plantain dish that is a popular snack in Ghana. 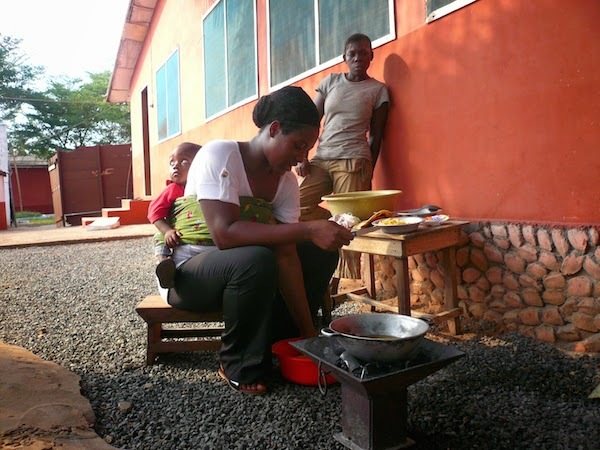 Think sweet and hearty Ghanaian comfort food…with a kick! 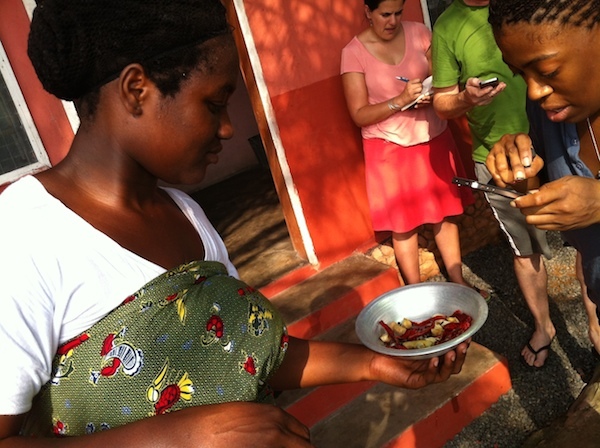 This recipe comes from a cooking lesson that participants on the 2014 Study in Ghana Winter Session took with Dagbe Cultural Institute chef/teacher extraordinaire Gloria. Special thanks to Professor Toby King from UNC Asheville and Amherst College Assistant Dean/Director of Education Abroad Janna Behrens of ThisWorldMusic’s Academic Advisory Board who were on hand to transcribe. 1. Heat the oil over high heat. 2. 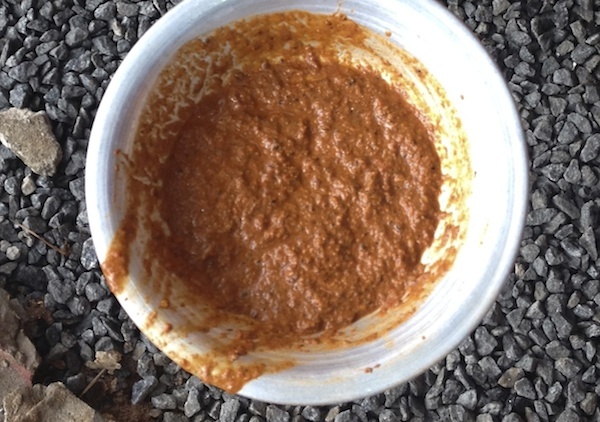 Grind together the dried red peppers, ginger, acho pods and peppercorns, adding enough water to form a paste. Add salt if desired. 3. 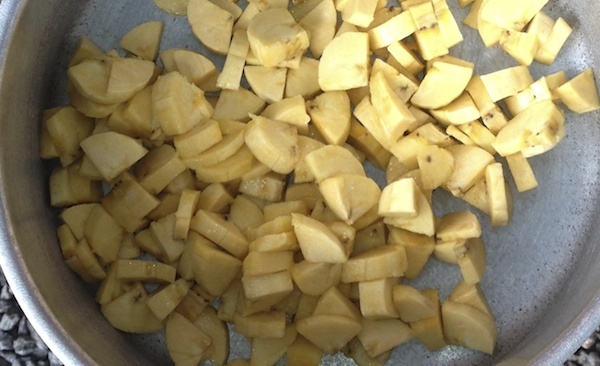 Slice plantains lengthwise into 4 pieces, then slice into 1/2” slices. 4. 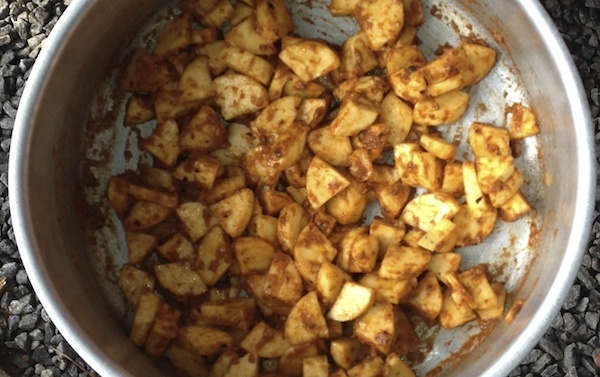 Stir the spice paste into the plantains to coat, adding water if necessary. 5. 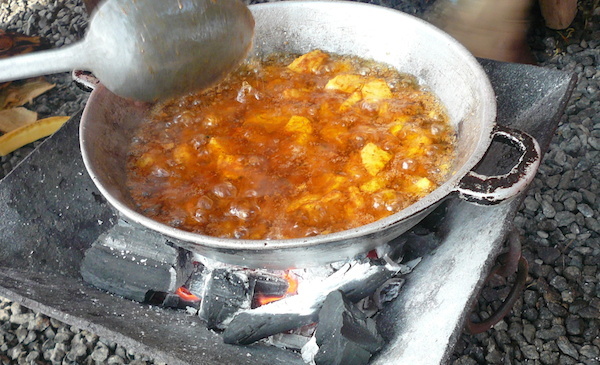 Add the plantains to the hot oil (it should immediately sizzle). Cook for 8-10 minutes, until brown. 6. Remove from oil with slotted spoon, drain off excess oil using a colander (or paper towels) and serve. Then start the next batch! mm, looks delicious! I know what I’ll be making today!